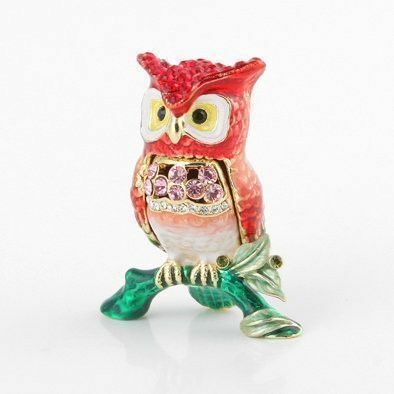 This charming red owl trinket trinket box is decorated with Swarovski crystals, and features gold plated-trim. The crystals were hand-placed by skilled artisans one-by-one. 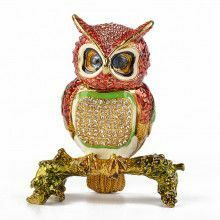 This trinket box is cast from pewter, before being hand-painted with a thick enamel-like paint. 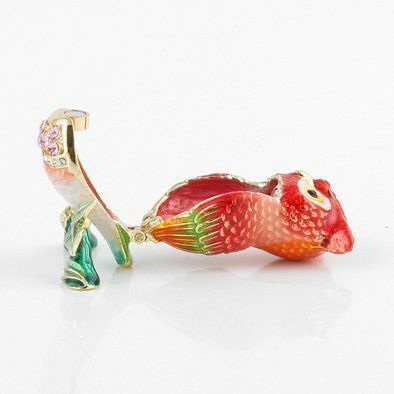 This cute bird box opens easily, and closes firmly thanks to a magnetic clasp. 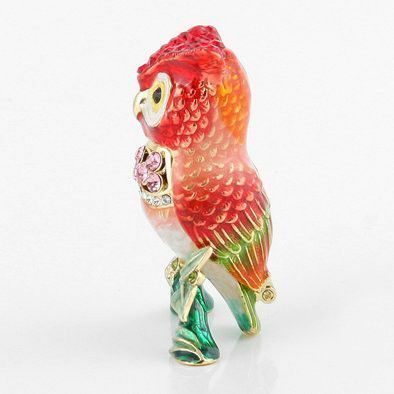 This wise red owl arrives complete with a gift box.